Fremlin Walk Shopping Centre is Maidstone's 350,000 sq ft principal fashion destination, anchored by House of Fraser. In recent months, Five Guys and Rush have joined the scheme. 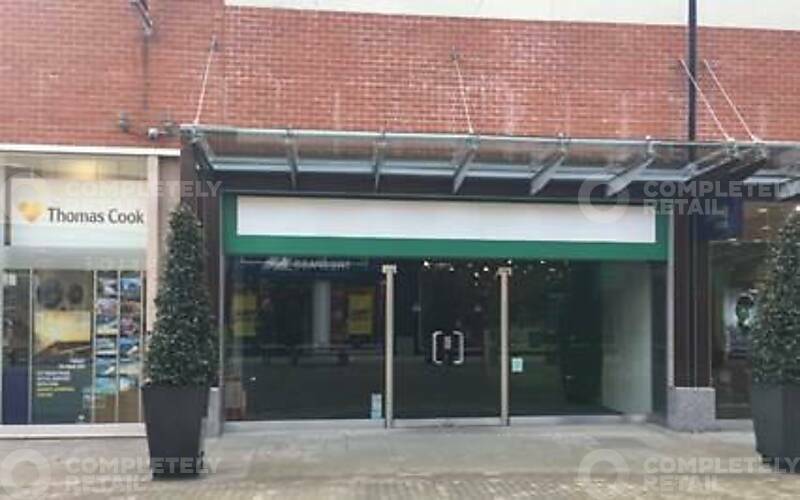 Situated in a prominent position within Fremlin Walk, the subject property is located opposite Thomas Cook and Laura Ashley. Other nearby retailers include House of Fraser, Paperchase and JD Sports. Maidstone is one of the major conurbations and retailing centres in Kent, South East England. Strategically well located in the town centre, with quick and easy access from Maidstone’s ring road for car borne shoppers, as well as a direct pedestrian link into Week Street for those on foot. Fremlin Walk is the heart of retailing in Maidstone, accounting for 35% of Maidstone’s non-grocery sales and providing modern shopping in an outdoor, street style environment. Temporary opportunity. Flexible terms available.